We have another season of GREAT workshops planned! Click here to register online where you can pay with a credit card or you can bring your payment of cash or check to the workshop. You may also register on site. OAKE members pay a $30 fee or $100 for a 4-workshop bundle. Non-OAKE members pay a $45 fee or $160 for a 4-workshop bundle. Full time students can become OAKE members and affiliate with the CAKE chapter to attend our workshops for FREE! ​Click HERE to become an OAKE member to receive discounted workshops and registration to conventions, journals and newsletters, and access to scholarships. 4 CPDUs are available for attendance and participation at each workshop. Workshops will be held from 9:00am-1:00pm.All workshops**** (except November) will be held at Concordia University in River Forest. There is a free parking garage (Visitor lot #5) for your convenience on campus. Taking public transportation from the city? Take the green line to the Harlem/Lake green line station. From there, take the bus or walk 1 mile north to Concordia. Offered in cooperation with the music department of Concordia University Chicago. ****Note: The Lillie Feierabend workshop will be held at Old Town School of Folk Music at 9:00am -1:00pm. Catching and maintaining the attention of upper elementary students can be a challenging and daunting task. But if you “bait your hook” just right you’ll soon have them eating out of your hand! In this session, we’ll focus on instructional strategies, pedagogical materials, and ways to build student rapport in order to gain and maintain the engagement rate of your upper elementary students. Song material, singing games, reading activities, pacing ideas, lesson structure and delivery, and building trust and relationships with your students are among many of the topics that will be addressed as ways to increase student participation, ownership, and joy in the music classroom. Amy Abbott is in her 21st year of teaching elementary music with the past 18 years having been in the St. Vrain Valley School district. 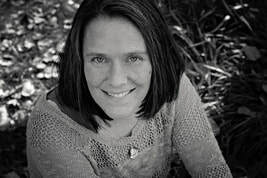 She received her undergraduate degree in music education from the University of Colorado at Boulder and obtained her masters in music education with a Kodály emphasis from Colorado State University. She has Kodály certifications from Portland State University, where she studied with Jill Trinka, Susan Brumfield, Vicki Loebell & Sean Dëibler and from Colorado State University, where she studied with Sue Litehold-Bowcock and Ann Eisen. She has presented sessions at OAKE conferences, the Colorado Music Educators State Conference, Oregon Arts Alliance State Conference, various OAKE chapters including KET, SWOKE, KMEK, MTAKE, OKE, KEGA, PKSOR, CAKE NPKC, as well as professional development of Amarillo ISD, Bakersfield MEA and St. Vrain Valley School Districts. She is also the level 2 pedagogy, folksong and analysis Kodály teacher at Colorado State University. Additionally, she has served on the ROCKE board for over 7 years as President, Secretary and Member-at-Large. In addition to teaching general music at Red Hawk elementary in Erie she also teaches a 4/5 choir, tone-chime choirs and a drum ensemble. In the spring of 2013 she was honored with a Jared Polis Foundation Teacher Award. When not teaching she loves spending time with her husband, son and daughter, gardening, blogging (http://www.musicalaabbott.com) and creating for her TpT store: Amy Abbott at Music a la Abbott. Tuneful singing is the marriage of tuneful thinking and physiological awareness. The child must be able to first “catch the tune” and then reproduce it in head voice. We must help the child explore the sensation of singing and then give them guided opportunities to reproduce the sound. This lively workshop will share strategies and techniques that are developmentally appropriate while remaining wonderfully childlike; playful, imaginary and fun. When we help the child develop their vocal ability at this young age, we can guarantee that they will enjoy a lifetime of successful singing. ​Lillie is known for her work with young children and instilling a love of music within them. She has been an early childhood and general music educator for over thirty years and a conductor for the Connecticut Children’s Chorus for seventeen. She has twice been honored with her district’s Teacher of the Year Award and in 2008 also received the Outstanding Elementary Music Educator Award from the Connecticut Music Educators Association. She is a frequent clinician at local, state and national conferences, presenting on music and movement development. She conducts regional honors choirs and teaches weeklong workshops around the country. She is Past President of KESNE and a member of NAfME, OAKE, CMEA and ACDA, where she served as the National Children’s Honor Choir Chair for the 2010 Conference. The workshop will include Kodály Inspired vocal warm-ups, part-work sequencing, and several pieces ranging from elementary through high school that can be used in the choral or general music setting. Kodály inspired rehearsal techniques and strategies will be included with each piece. Octavo packets courtesy of JW Pepper. Octavo packets will be provided by JW Pepper and are guaranteed to the first 25 registered participants. The following presenters will be featured: Alicia Brown, Larena Code, Crystal Henricks, Bill Hohnke, Melanie Madsen, Jana Martin, Geby Rosenblum, and Katie Szotek. This workshop offers pedagogical strategies and a variety of resources for teaching a variety of resources for teaching music of the world’s cultures. Attention is given to learning culture through songs, stories, contextual descriptions, movement and dance experiences and instrumental music. Music and dance from related regions of West Africa, the Caribbean, and Brazil will be presented. Connections will be made to Culturally Relevant Pedagogy and features of ethnomusicology. Karen is Asst. Prof. of Music at the University of St. Thomas. She received her B.M. and M. Mus. Ed. From the Hartt School and PhD from the University of Washington. Karen taught elementary music for 20 years in Connecticut and Washington. She has extensive training in global vocal, instrumental, and dance traditions from many music cultures.